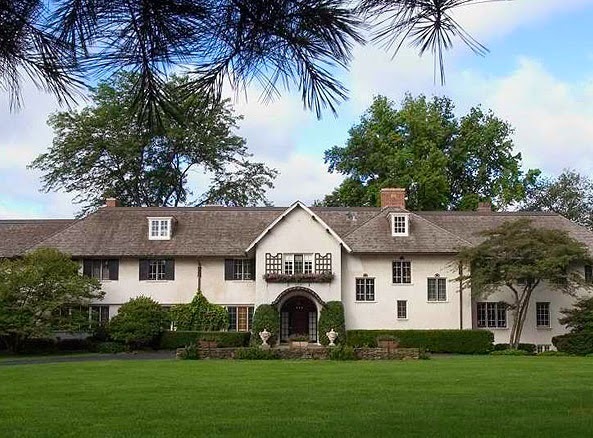 One of the better known American architects of the early 20th century is Howard Van Doren Shaw, best known for English-inspired houses like Ragdale, or The House of The Four Winds, in Lake Forest, IL. Many of his houses are reminiscent of works by Voysey or Baillie Scott, though some examples – like a large Tudor-inspired home here in Akron on Merriman Rd.—are just slightly more traditional in their approach. Strangely enough, Market Square feels like some of today’s newer, “walkable” retail developments (Think of Easton Town Center in Columbus or Legacy Village, near Cleveland) – the scale, mixed bag of architectural styles, and overall approach are strikingly similar. The article goes on to highlight a new book, Inventing the New American House: Howard Van Doren Shaw, Architect, by architect Stuart Cohen, who makes the case for Shaw as an innovator, drawing out that argument from Shaw’s reticent buildings. Take a look at the article, and check out the book, if you can.